Last week I teased a new project, an Etsy store I will be launching shortly. “The Geek Spa” will provide fandom-themed bath and body products made with as many natural ingredients as possible. These will include body butters, sugar scrubs, and bath fizzies. If all goes well this week, the shop will be live next Sunday evening and I’ll be sharing a link and coupon code in next week’s post. You can “like” me on Facebook for more updates. My first two product lines are Doctor Who and Sherlock themed. Why? 1) They are two of the “craziest fandoms on Tumbler,” so I know I have a target audience? 2) they are my personal favorites. I’m having so much fun re-watching episodes for research and trying out all my new recipes. 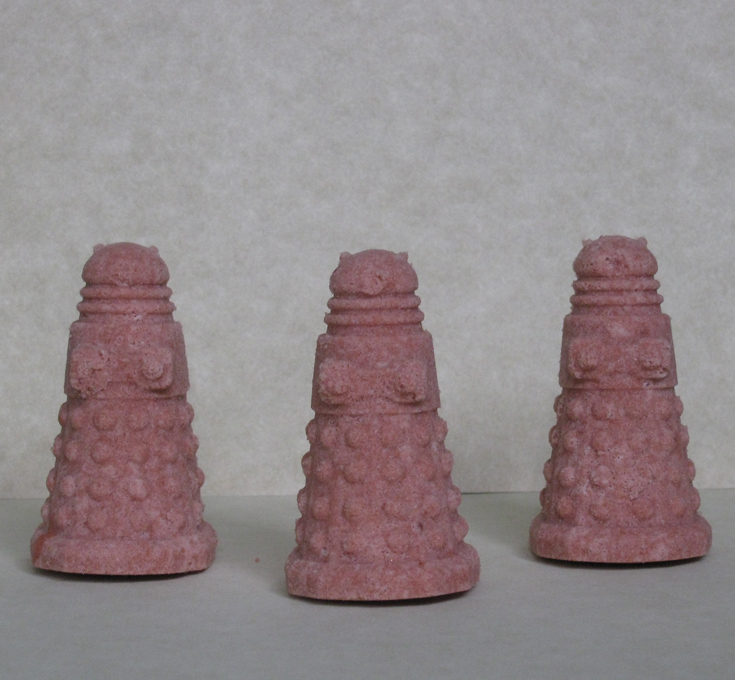 So far, my favorites are the Dalek Bath Buddies (bath fizzies) and Battle Dress (a body butter). This last one smells like oranges and chocolate — I wanted to eat it so much when I was cooking. If you have any suggestions for naming these product lines, I’d love to hear them. I’m thinking of calling the Sherlock products “High Functioning Sociopath,” since the essential oil scents will be for balance and energy. I’m not sure what to call the Doctor Who set, though. Those scents will be relaxing and floral, with lots of rose.